Welcome to Chapter Book & Tea Shop in Auckland! There’s something luxurious about tucking into a hot cup of tea and burrowing your nose into a good book. That’s why we’re passionate about our cosy tea shop in Auckland, which has been in the heart of Mt Eden for over 10 years. As the saying goes, variety is the spice of life, which is why we offer around 300 different teas for you to enjoy. Our library of novels is full of an eclectic mix of novels to keep your appetite for good stories satiated. 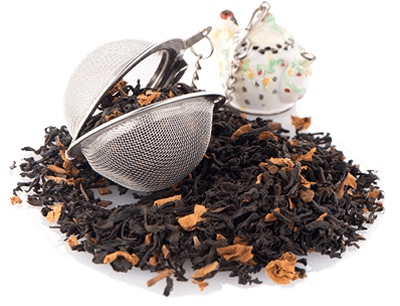 Visit the longest-established tea shop in Auckland (which started in 1995) to browse our selection of gourmet leaf teas and shelves full of romance novels. Or contact us today with any inquiries! Please note: the shop is closed on Mondays and, at Christmas-time, it is closed for about three weeks. On Good Friday (19 Apr) and Anzac Day (25 Apr), our trading hours are 10-4. Find your favourite brew! 300 speciality teas in stock.